Surf Air. Private jet membership. Here at the Ginger Travel Guru, we like to focus on premium air travel, namely business and first class, plus the occasional mention of premium economy. However I didn’t think that I would be writing about a private jet service, after all, even with the likes of NetJets, they’re the preserve of the ultra-wealthy. However, the company Surf Air have launched in Europe, after starting in the US. Rather than operating the anywhere / anytime model of a traditional private jet service, they’re actually flying to specific destinations on a specific timetable. They currently fly from London Luton to Ibiza, Cannes and Zurich and will expand their network as their membership base does. Our individual membership starts at £3,150 per month – and for that, you can fly as many times as you like, on any of our routes in Europe and the US. In time, we plan to offer memberships covering a shorter list of destinations for less than £2,000 per month. Our pay-as-you-fly annual membership cost is £2500 plus the cost of one-way or round trip flight passes. Our subscribing members can fly as many times as they like. In fact, our most frequent flier in the US flies 28 times per month! Typically, members fly every week. Surf Air are currently offering a free, one-way test flight, to people that are able to prove their top-tier status with a European frequent flier programme. For British Airways fliers, I believe that includes both Gold as well as Gold Guest List. All you need to do is send them details of your membership and they will do their best to confirm you on a flight, subject to availability. Next Tuesday, I’ll be flying one-way, from Ibiza back to London Luton. They fly from the Signature Private terminal in Luton, next to the main building, where you can arrive up-to 15 minutes before departure. Plus you’re allowed liquids of more than 100ml. 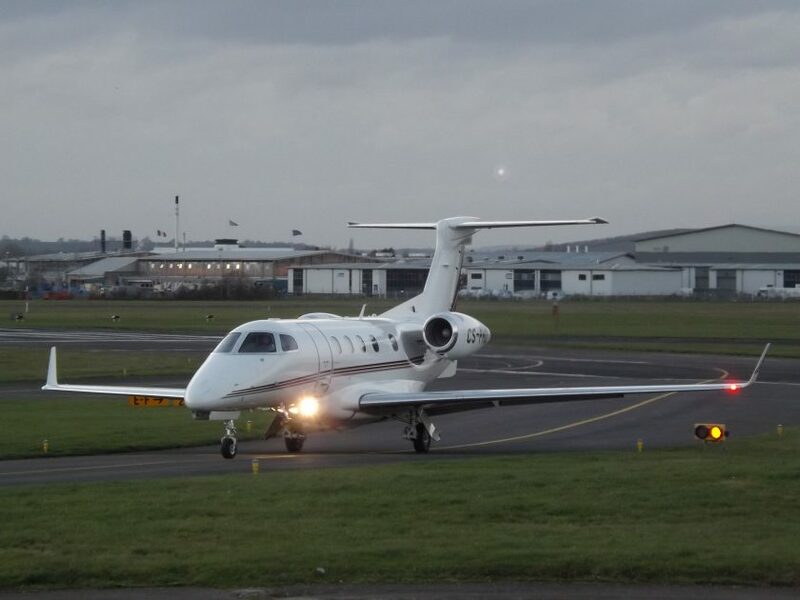 They’re operating with Embraer Phenom 300 aircraft in Europe, seating up to eight passengers, with two flight crew. They even provide food and drink on the flights and you’re allowed to take one bag up to 15kg in weight. Think of flight passes as tickets to ride Surf Air, except that every time you use one, you get it back. You use a pass to book a one-way flight. A Standard membership allows you to hold two passes at the same time, so you can book up to two one-way flights (which can of course be a round-trip) at once. As soon as you’ve flown the first leg, you get one of your passes back and can book your next flight. When you’ve flown the next leg you get the other pass back, and so on. Surf Air offers guest passes for £1000 one-way. A guest pass allows a member to offer the chance for a non-member to fly with Surf Air. One guest pass equals one flight, so two are needed for a round-trip. The one drawback that I can see, albeit one that affects all private jet firms is the inability to have wifi on board. This also affects all sub-100 seat regional jets too, and is simply down the size of the antennae versus the fuselage diameter. The dome required to talk to the satellites is simply too large for anything smaller than a 737 / A320 type aircraft. There is of course a full FAQ and schedule on their website. I’ll be getting out there using Avios, flying British Airways to Madrid, and then Iberia (operated by Air Nostrum) onwards to Ibiza to return with Surf Air. There will of course be a full report here on the Ginger Travel Guru, as well as live updates on Twitter and Insta. I’m very excited. Previous Post: The ultimate #avgeek Xmas present. A320 hot tub. Next Post: When you see a good fare, book it. £1350 to Australia.